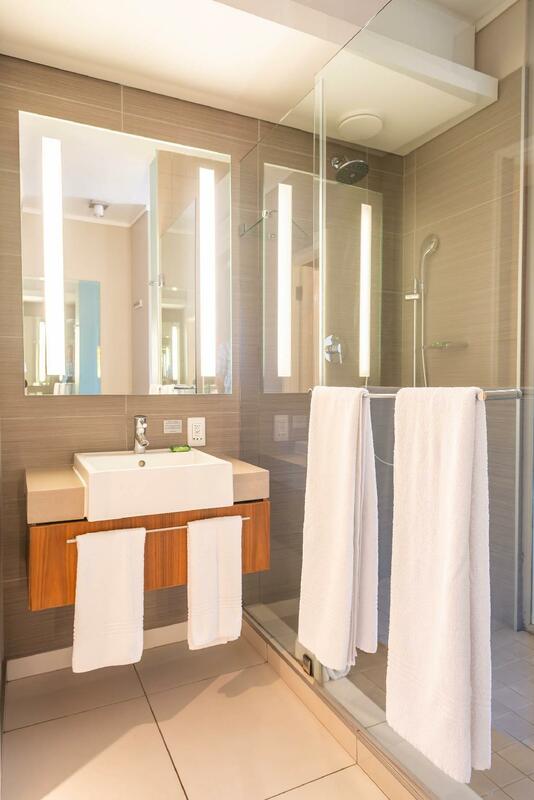 Ada soalan mengenai aha Harbour Bridge Hotel & Suites? Terletak pada kedudukan yang baik di V & A Waterfront, aha Harbour Bridge Hotel & Suites adalah tempat yang sesuai untuk memulakan lawatan anda di Cape Town. Hotel ini tidak terlalu jauh dari pusat bandar: hanya sejauh 0.5 Km, dan kebiasaanya mengambil masa kira-kira 25 minit untuk sampai di lapangan terbang. Persekitaran yang terjaga dan kedudukan berhampiran dengan Spa Arabella, Konsulat Jeneral Angola, Virgin Active - Cape Town membuatkan penginapan ini menjadi tarikan. Ambil kesempatan daripada pelbagai perkhidmatan dan kemudahan yang tiada tandingan di hotel Cape Town. Untuk menamakan beberapa kemudahan di hotel ini, terdapat Wi-Fi percuma semua bilik, fasiliti tetamu kurang upaya, Wi-Fi di tempat awam, tempat letak kereta, khidmat bilik. Aha Harbour Bridge Hotel & Suites mengandungi 58 bilik yang dihias indah dan menawarkan televisyen skrin rata, ruang tamu asing, bilik larangan merokok, penyaman udara, pemanas. Senarai lengkap kemudahan rekreasi boleh didapati di hotel, termasuk padang golf (dalam jarak 3 km) , kolam renang terbuka, sukan air (tidak bermotor). 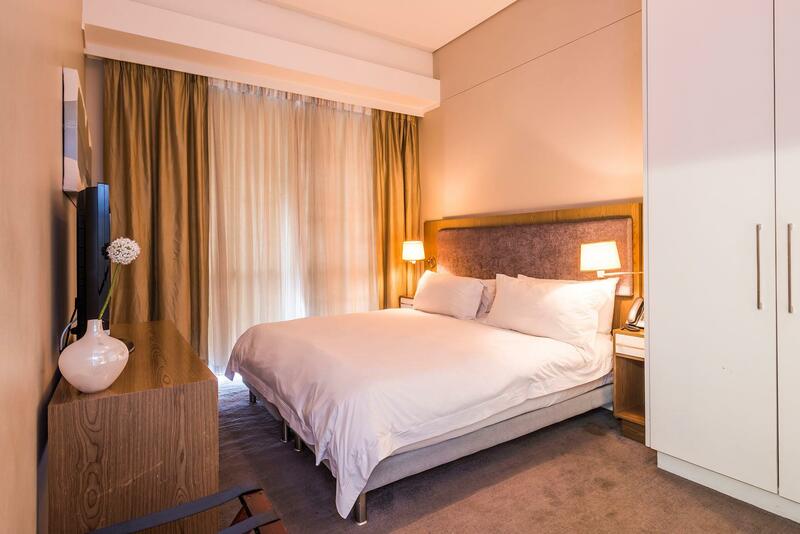 Apa juga tujuan lawatan, aha Harbour Bridge Hotel & Suites merupakan pilihan yang terbaik bagi penginapan anda di Cape Town. Neat, clean, comfortable, and one of the best value-for-money hotel I've ever stayed in. Friendly and helpful staff. Loved the breakfast buffet which changes daily. The only less-than-perfect thing was the location. Far walk from the V&A Waterfront, have to take an Uber or river taxi. However, the hotel being located along the coastal area is still much safer and preferred than downtown. Will recommend this hotel to everyone. Lovely hotel, right alongside the canal. Excellent breakfast. So much choice. Very helpful staff. Bathroom floor slippy, so a hazard. The pool is small but again there are dangerous steps down from the roof terrace. No pool rules, which is a recipe for an accident. The waterbus stops outside. The only problem is the waterbus stops at 7pm, and the gate is locked at 7pm preventing you from walking back to the hotel after 7. Our hotel room had a lovely view of the local mountains and was well equipped, clean and comfortable. A great breakfast was included. 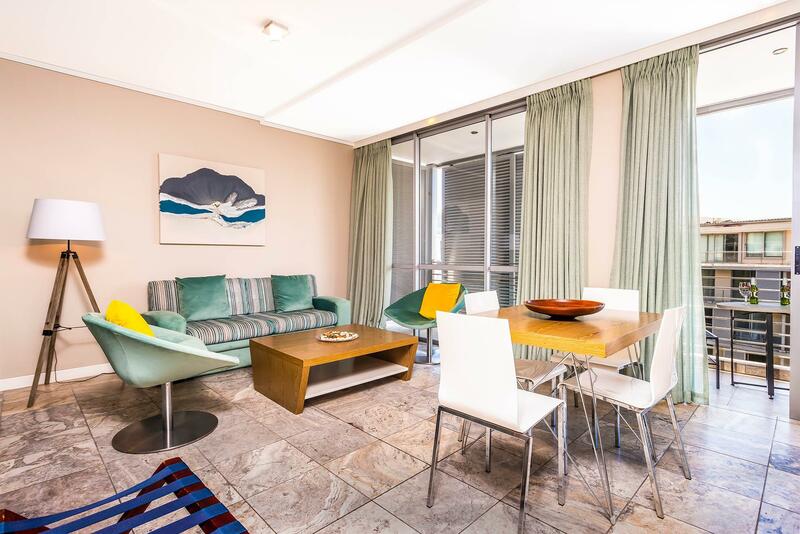 One of the best features is that it is in easy walking distance of the V&A Waterfront. Excellent value! Facilities, staff, food, service, cleanliness and location all excellent. We had some difficulty finding the hotel (take the exit leading to the parking of cticc). Otherwise, the hotel is one of the stops for the canal boat tour and we used that too get to the VA waterfront area. There are no supermarkets or restaurants located near the hotel but that makes it a quiet and peaceful area, no safety concerns as well also. The room was clean and the balcony makes for a perfect place to view table mountain and the canal. The staff were helpful. This is a brand new hotel, with spacious, well equipped rooms ideal for the business traveler (USB charge points everywhere). 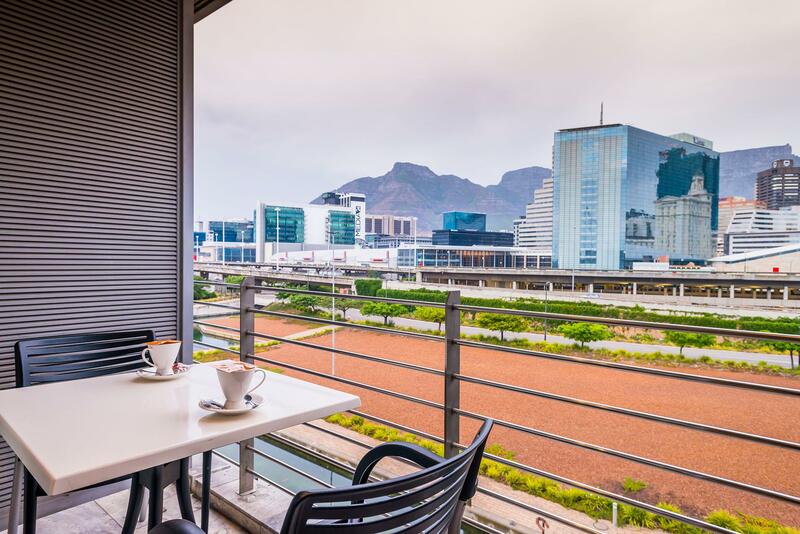 There are large amounts of parking spaces and the location is very close to the city centre and CTICC. There is even a canal taxi stop linked to the V&A. The breakfast is decent and the staff v helpful. I will definitely be back. Perfect hotel for travelers, may not be the world's best facilities but the convenient location and helpful staff make it a travelers dream. Every night you come back to a clean and tidy room, restaurant service and a nice every weather card. Not to mention the view of table mountain. We stayed at the hotel in a luxury suite for 3 nights. The room unit was spacious and clean. We were impressed by all staff, but in particular dealt with Bernadette and Aretha, and would like to commend their service and friendliness. Due to my wife having health problems, we enquired about fat free yogurt and milk prior to our arrival, and both were provided at breakfast. The breakfast and its variety provided for all tastes, with a selection of serials, range of fresh and dried fruits cold meat and at least 5 hot meat selections everyday. The unit's kitchen was well equipped for self-catering, with a large fridge/freezer (not bar fridge size). The luxury suite was a haven to return to after a day's outing, with separate aircons in the living room and bedroom. The canal ferry picking up passengers with a city sightseeing pass at the hotel with regular intervals, is convenient. Bathrobes were not provided, as per Agoda website. Only limited TV channels. Good location, quiet and serene. All the amenities for a couple. Iron, air con, clean showers and toilets, tv, balcony with a view. Very clean. Staff were very accommodating and went above and beyond for us. I can really recommend this hotel, its located in secure area, staff are friendly, everything is clean. Only thing is that for breakfast you don't have a lot to chose from. Any way i will go back to this hotel next year for sure ! Really like this place being close to the CTICC. It offers good value for money & the rooms are really large. Only disadvantage is that the walkway to the Waterfront closes at 7pm. Makes the walk a lot longer. Our experience at aha Harbour Bridge in Cape Town was excellent. The staff were very courteous, helpful, and professional. The room was better than we expected. The location was great too as it was a short walk over to the V&A Waterfront. I would definitely recommend this hotel for both business trips or vacations. I had the best stay ever at the hotel, will sure book again. Great value and location. Staff was very friendly and helpful. Pool is small and no gym facility which was a little disappointing. We would stay again though given the location and cleanliness! Water taxi to the V&A is a nice touch pity it stops at 19:10. Access to the hotel is a bit convaluted and road noise not great but room was very comfortable and stay thoroughly enjoyable!